So you’ve made the decision to start a food blog. Fantastic! But what next? It can be confusing when getting up and running as there are so many different options to chose from. Here I’ve compiled a quickstart, step by step guide to creating your very first food blog. Disclosure: Some of the following links are affiliate links, this means that should you click on a link and make a purchase, I will receive a commission from that company. Please know that I only recommend these products because I use them myself and find them to be high quality and trustworthy. Let me know if you have any questions! Huh? I hear you cry. While the decision itself is quite small the implications it can have on your blog are quite important. So let’s break it down. A hosted blog is one that is hosted (housed,looked after) by another company on their servers. This company will manage backups and software updates, provide you with the software to create your website and also the storage space to keep everything safe. They’re often extremely cheap, if not free, to set up. Sites such as WordPress.com, Wix, Weebly and Blogger are good examples of hosted platforms. While all of this is great it comes with limitations. On hosted platforms you are restricted in how much you can customize the site, you cannot install additional plugins, and you cannot install ads. By creating a self hosted blog you remain in full control of every aspect of your blog. While it takes a little extra time and money to set up this will pay off in the future if you are serious about blogging. 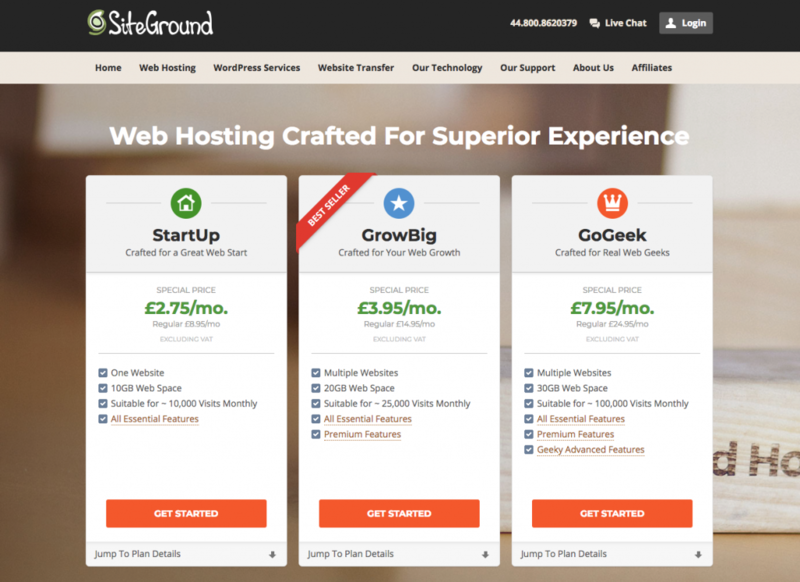 To start you will need to choose a hosting company to create a domain with (SiteGround, Bluehost and WordPress.org are good examples), and then download the software to create your website. I personally use a self-hosted platform due to the incredible flexibility, customization and my goals going forward with my blog, and I’m going to show you exactly how to create a self hosted blog right here. I use SiteGround to host my website and WordPress software to create it. It’s actually REALLY quick and simple to set up and that’s what I’m going to show you how to do here. 1. 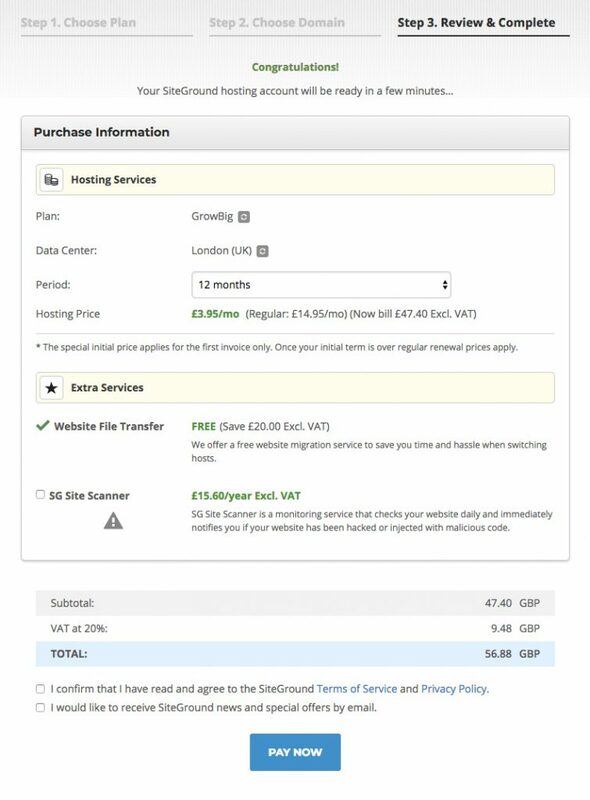 Choose which hosting plan you want. For brand new blog the StartUp plan is ideal, and is what I started with. 3. Review all the information and complete. 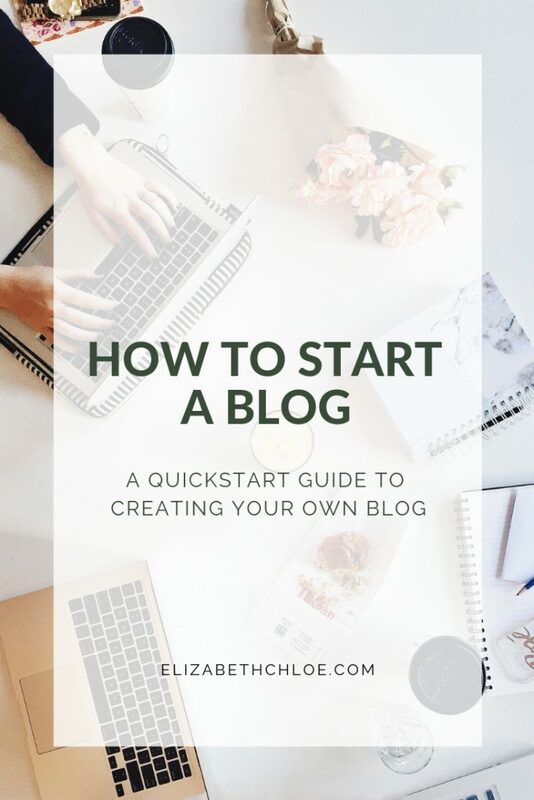 Fill in all of your information, confirm and then bobs your uncle, you’ve taken the first steps to starting your very own blog! Once your order has been processed you will get the option to proceed to your customer area. Head over there. You’ll get a few options to choose from. You’re looking to start a new website, so go ahead and click that button. You should get a number of software options to choose from, select the WordPress button to install it. Fill in your admin email, username and desired password and hit that confirm button. Then click complete set up and head to your customer area! You have just created your self-hosted WordPress blog! Type your domain name into your search bar and, low and behold, there it is! Your blog! Do you feel like a technical wizard?? You should! To start creating posts, editing the look and feel and all sorts of other fun and creative things, head to the ‘my account’ tab and then hit the button ‘Go to Admin Panel’. This will take you to your WordPress dashboard, which is where you will spend the majority of your time. This has been a whistle-stop tour on creating your own blog. And while you’ve taken the first (and most important) steps, there’s still a lot more to do! I could talk for hours on choosing themes, the best plugins to use and how to appease the SEO Gods, but I’m still learning too! Thankfully there are thousands of great resources out there to help you get going. I’ve created a list of my favourite and most essential resources for food bloggers. Go check it out and let me know what you think! One of those resources, which I literally COULD NOT LIVE WITHOUT, is Food Blogger Pro It’s a fantastic community that provides walk through videos taking you through every step of the food blogging process. There’s also a super supportive forum where you can ask any question, and there will be someone ready to lend a helping hand. I hope you have found this helpful for setting up your own food blog! If you have any further questions, don’t hesitate to ask!